A new era of comfort and ease of use has just begun. 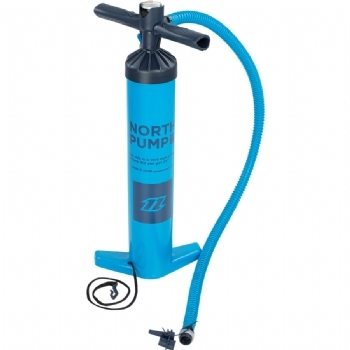 The North Kiteboarding Pump is easy to use and fits perfectly to the sensational Airport Valve II. You'll be on the water with no effort and faster than ever before. All parts are robust, friction on the inside is reduced and sand will not be able to get into the inside due to a new membrane system.